Lance Armstrong made a $US100,000 investment in Uber when the company was worth $US3.7 million. The company is now estimated to be worth $US120 billion. 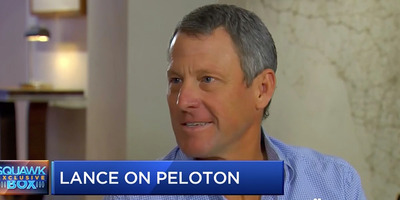 In an interview with CNBC on Thursday, Armstrong revealed that in 2009, he made a $US100,000 investment in Chris Sacca’s venture capital firm, Lowercase Capital. His investment was then mostly spent on Uber, which at the time had a valuation of $US3.7 million. Today, banks estimate Uber to be worth $US120 billion, as its preparing for its first IPO. Armstrong lost millions in lawsuits and broken endorsements in the wake of his doping scandal. According to The Guardian, he had paid as much as $US20 million in lawsuits and settlements.